Doug Golick is trying to generate a little buzz. The University of Nebraska-Lincoln assistant professor of entomology is working to craft the ideal bumblebee domicile – and he’s turning to the public to get the project off the ground. Working through Kickstarter, a company that provides tools to raise funds for creative projects, Golick is pursuing $3,300. The money will be used to build bumblebee nest boxes and develop a website for data collection. Individual backers can join the project, with levels of participation determined by pledge amount. For $10, backers receive a personal thank-you and access to the research website; $25 places a donor’s name on a nest box along with seasonal reports on the bumblebees occupying the box and access to the website; and $100 donors receive a nest box for attracting bumblebee queens and report data back to Golick. Bumblebees on the house hunt are difficult to please. They prefer abandoned rodent dens that boast wall-to-wall bedding material, are dry in a storm and can be easily defended against other multi-legged predators (like many people, bumblebees also dislike ants and skunks). Golick said competition in the spring is fierce, with queens battling for prime locations. In the end, this competition reduces bumblebee populations, which cuts into pollination success. Like honeybees, bumblebees are excellent at spreading pollen, particularly that of tomato and cucumber plants. To ease the native pollinators’ housing crunch, researchers have been developing bumblebee nest boxes for years with limited success. As a graduate student in 2000, Golick worked with 40 Nebraska high schools to build and test a variety of nest box designs. 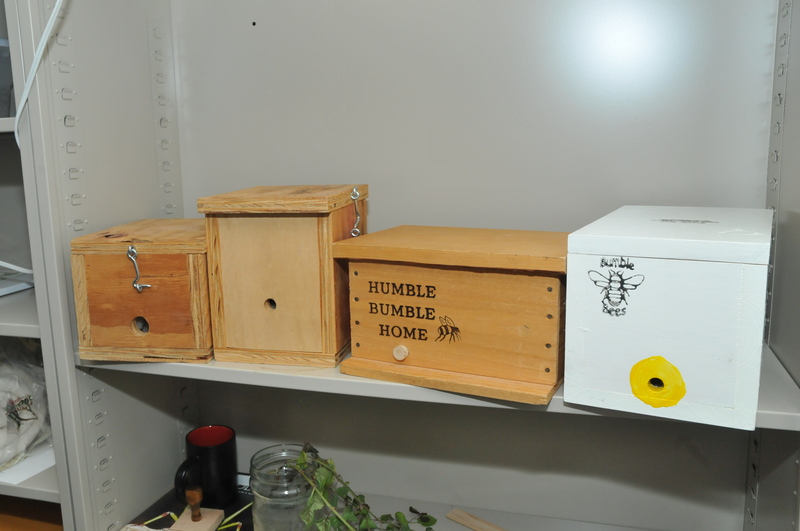 The project resulted in about 300 nest boxes placed around the state. Just two attracted Bombus families. Golick said a graduate student at another university recently placed 100 nest boxes into the field; none drew the intended tenants. And a British study that used bumblebee boxes from a commercial retailer recorded a success rate of just 2 percent. Golick is basing the design on the most current research, drawn both from professional entomologists and citizen scientists. 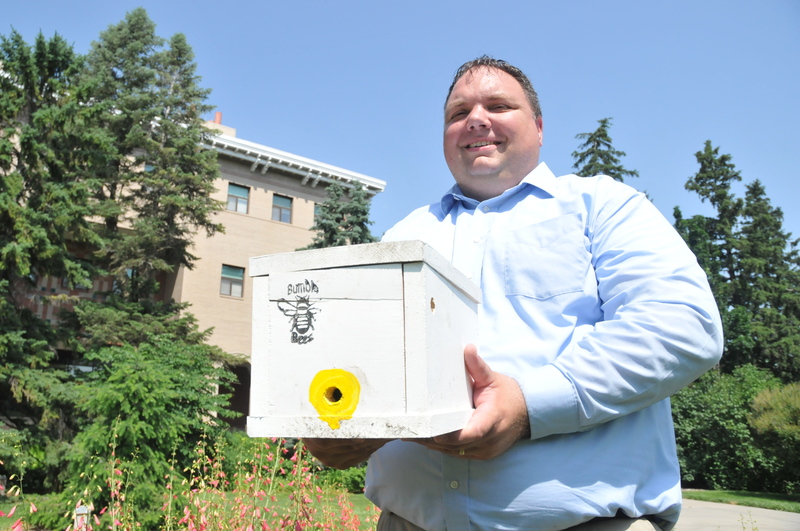 He said he hopes the project leads to an ideal domicile for bumblebees, but Golick said he also believes the effort shows promise in education and funding. Golick is collecting pledges until July 6. The project is more than halfway toward its funding goal. For more information, go to http://go.unl.edu/rq8.